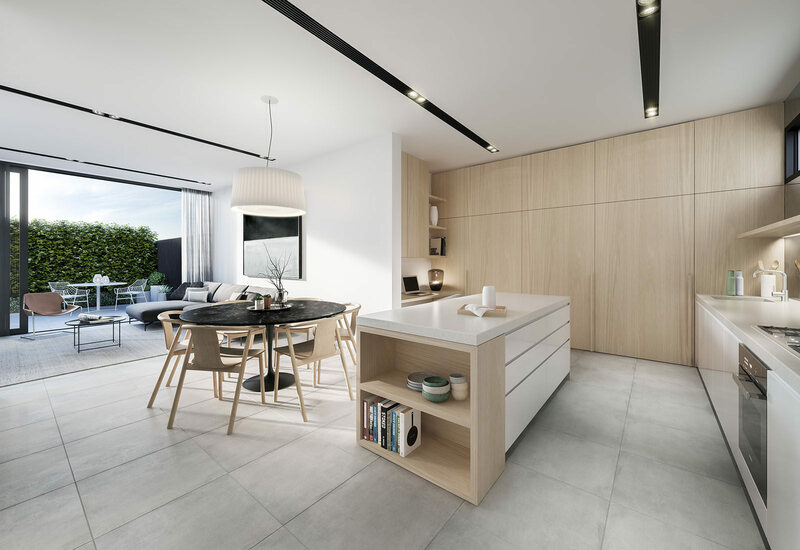 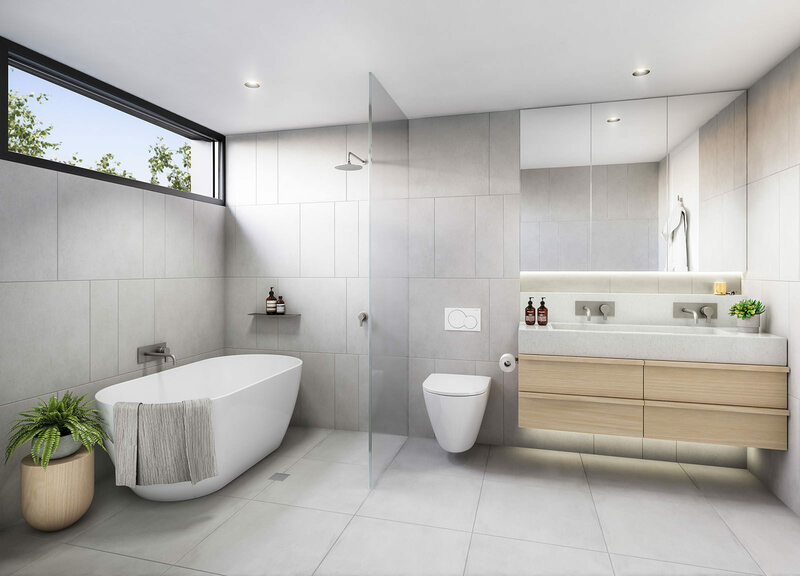 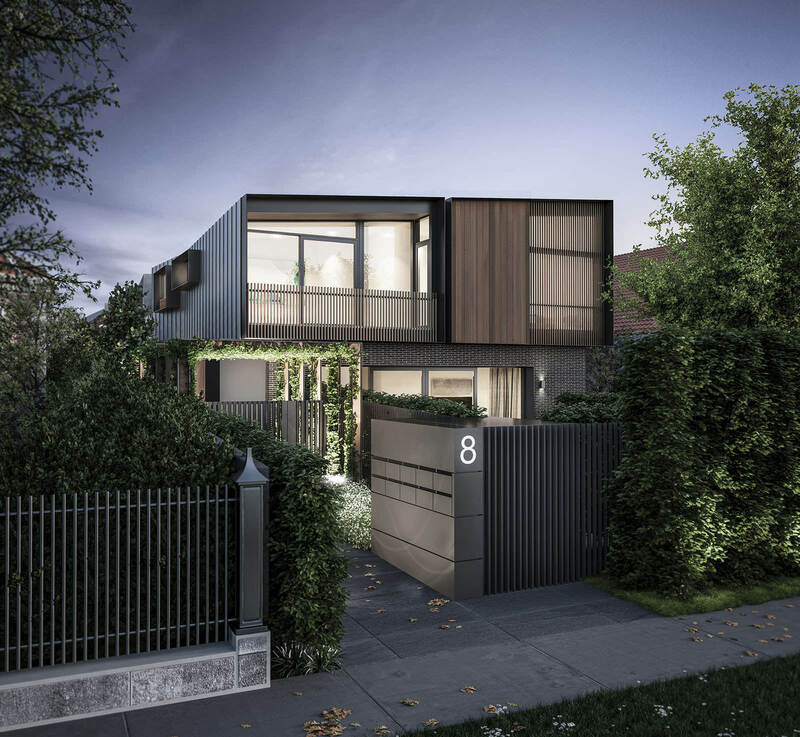 The boutique multi-residential development at 6-8 Manningtree Road in Hawthorn comprises nine townhouses. 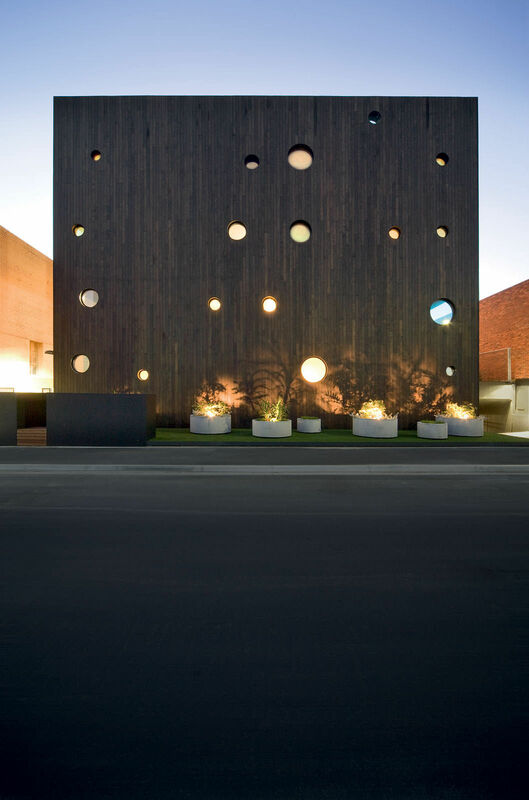 The surrounding built fabric is a diverse mix of single storey private residences and multi-storey institutional and residential buildings. 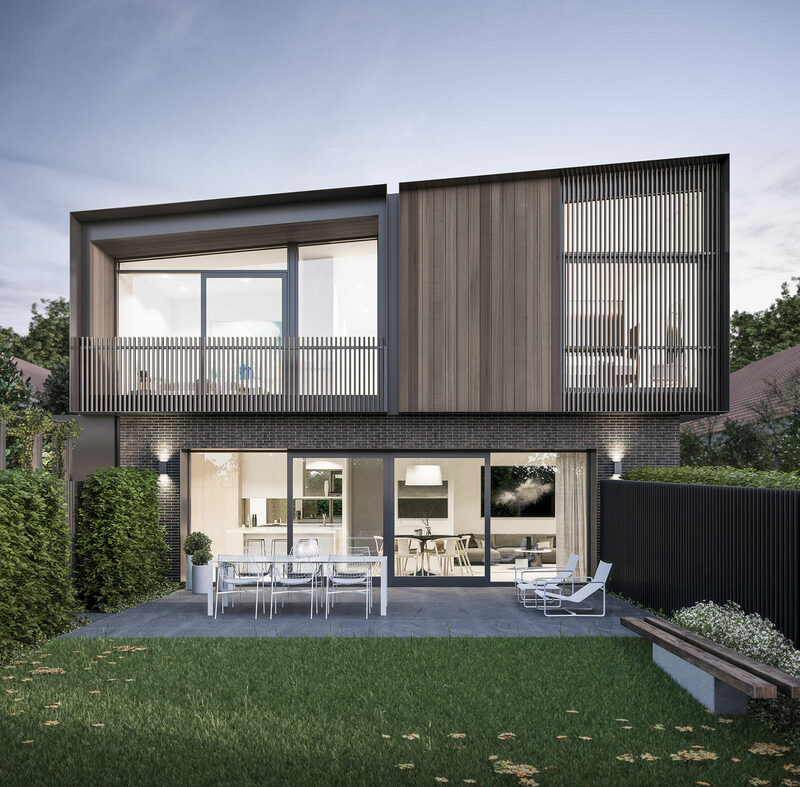 A key aspect of JCB’s architectural design response is to ensure the scale and form of the development is appropriate for its context, integrates successfully with the streetscape and is respectful to the historic houses in the area. 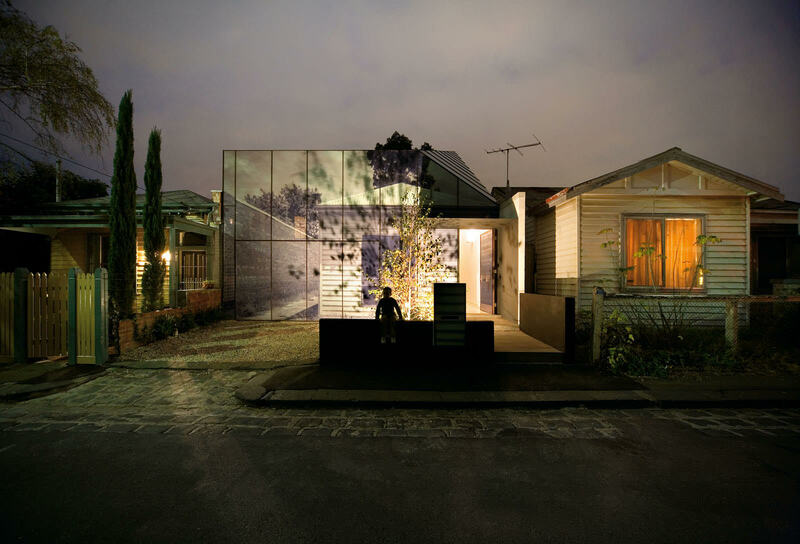 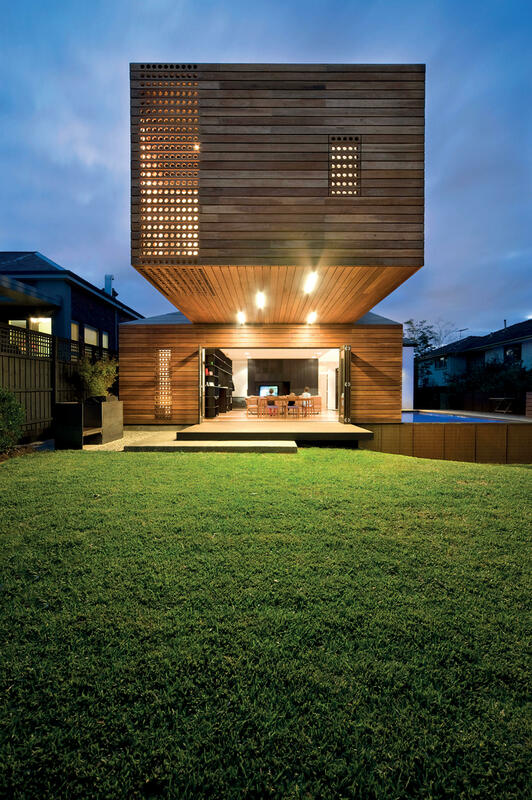 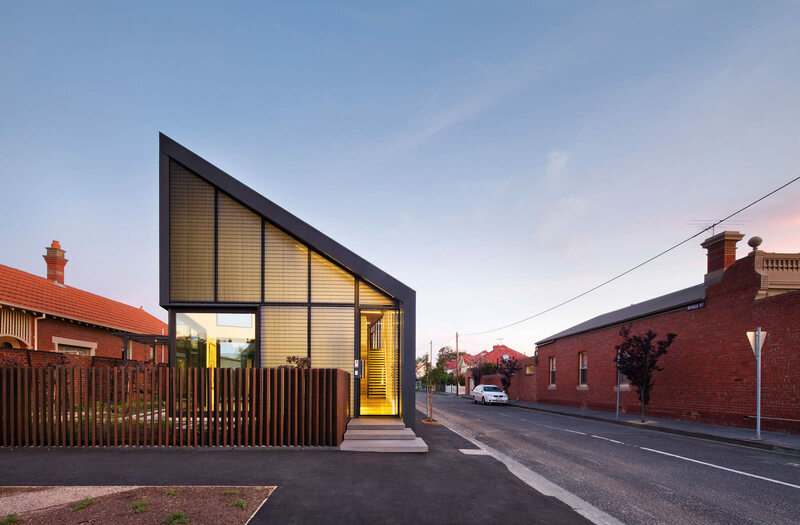 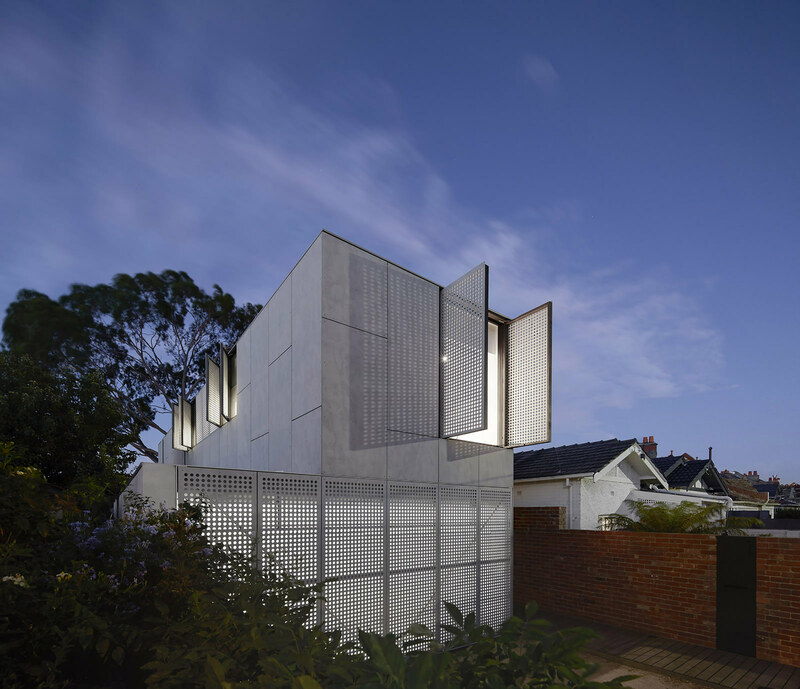 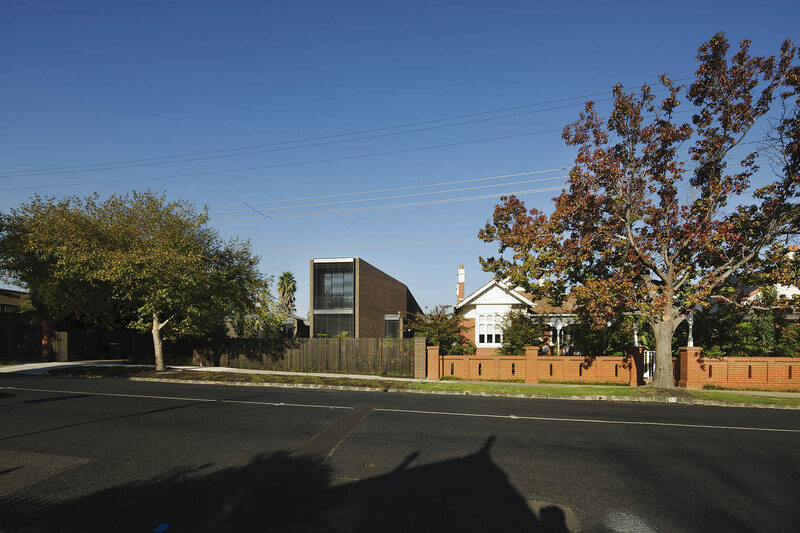 A solid articulated brick plinth alludes to the suburb’s heritage built fabric. 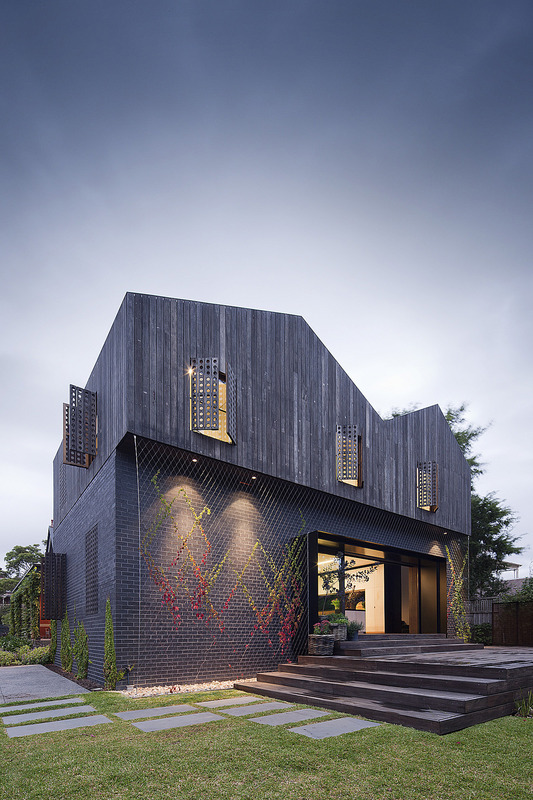 The dark shade of the metal cladding references the slate tiles commonly found on Victorian homes, whilst its soft patina and detailing gives a modern touch. 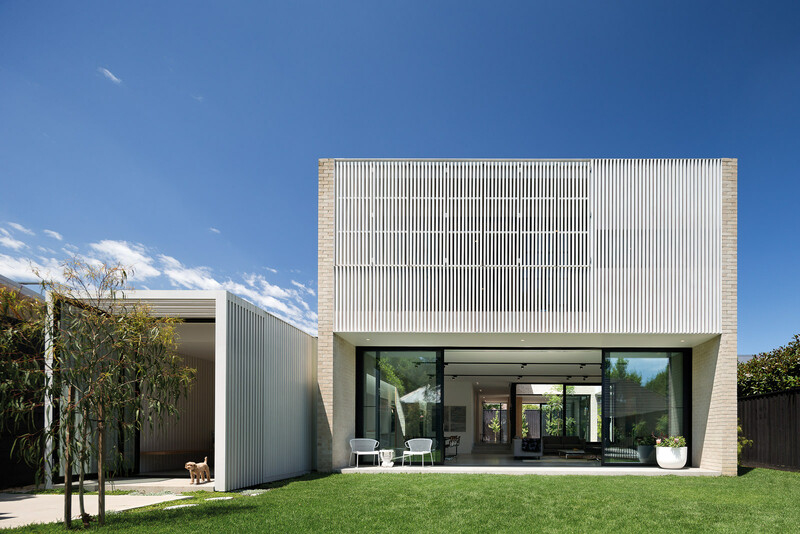 Timber cladding and steel frames around the windows and entry areas help to articulate the façade, providing depth and sun-shading. 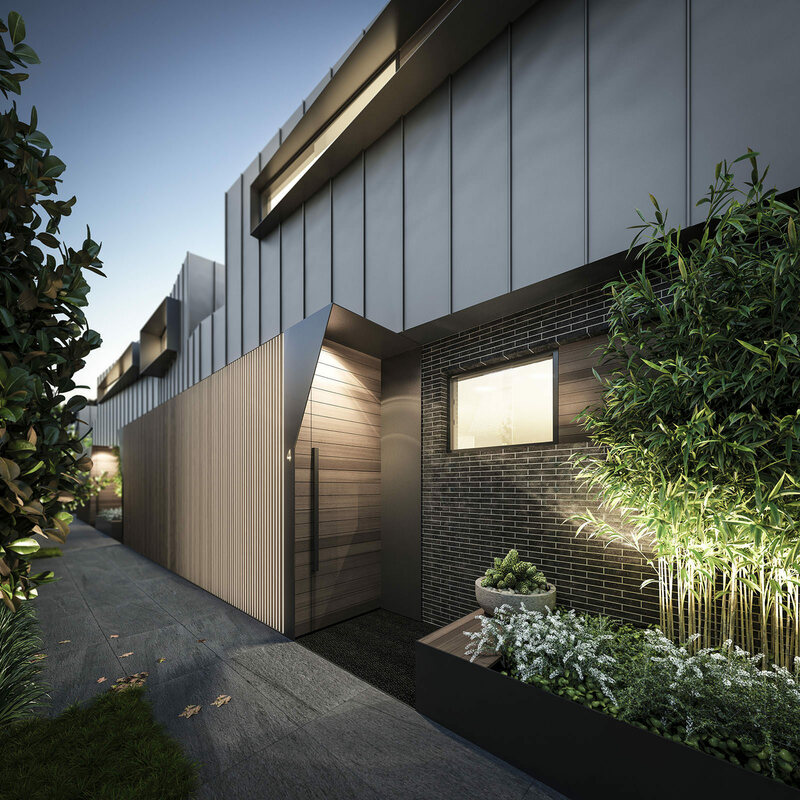 Each townhouse is spread over three levels, with a secluded courtyard at ground level. 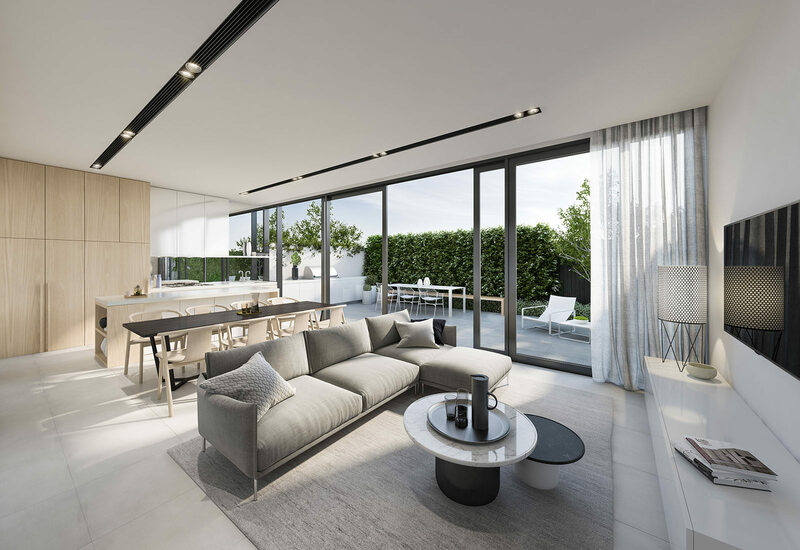 The design of the interiors offers generous, light-filled spaces finished in a neutral colour palette and elegant detailing.